It is never too late to lean new skills – especially when it comes to Leadership. Dawn Lawson has been running her own business for over ten years. Starting as a way to work for herself and to work from home, 1st Class Secretarial now delivers a range of secretarial skills including digital audio typing services, audio transcription services, copy typing and general administrative services. 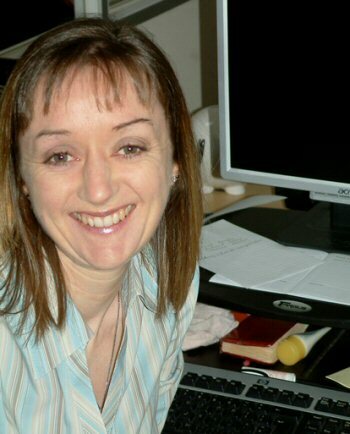 Dawn leads a team of 6 in her office and organises a team of 25 home-based audio transcriptionists to deliver 24/7 secretarial services to her clients, taking care of large and small projects, and working in different time zones. So why after 10 years running a very successful business has Dawn decided to take a course in Leadership Skills? I have to say that I found this willingness to learn refreshing. In the days when I was involved in technolgy transfer and small business start-up in the biotechnology sector I lost count of the number of small business owners who thought that they knew everything and that they had all the skills they needed to start, grow and build a business. The ones I dealt with that persisted with this attitude all failed..sonner or later. I asked Dawn how she is gaining these new leadership skills? I asked Dawn whether she thought that the course was making a difference? Thanks very much to Dawn. It is fantastic to see the founder and owner of such a successful business being prepared to learn the new skills neeeded for persoanl improvement and development and to take the business to the next level. We wish her luck and hope that she will share the outcome of the course with us later this year.